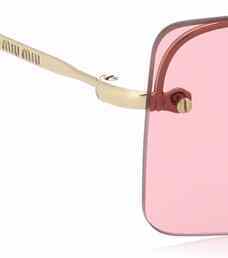 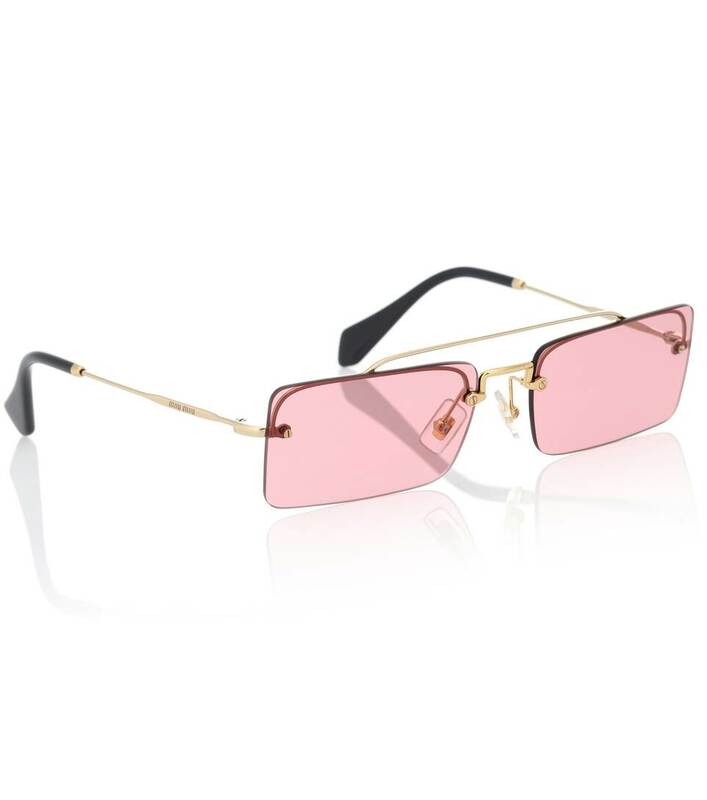 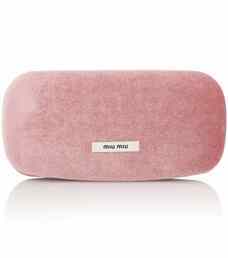 Shield your eyes but not your heart while wearing Miu Miu's rectangular sunglasses. 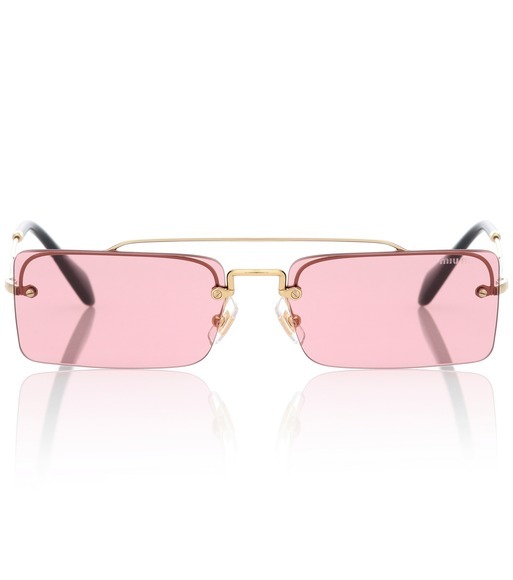 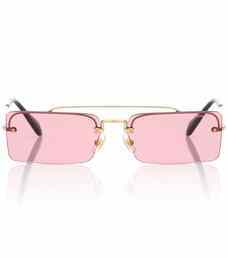 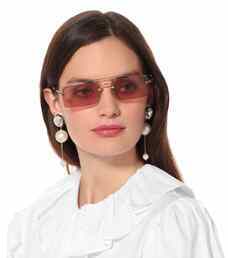 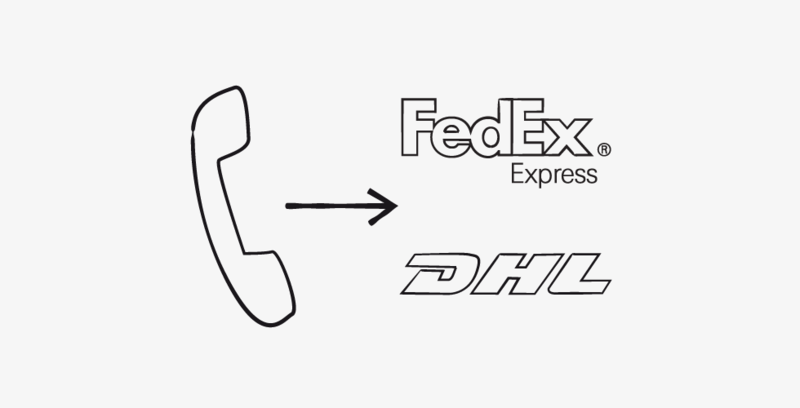 The brand goes bold, opting for a rimless aviator design that brings minimalism to the forefront. Golden logo-branded hardware at the bridge and temples complements the dark rose lens shade, all the while providing 100% UV protection.